Result: You can connect to CloudShare servers using . Result: None of the available connection methods can connect you to CloudShare. on TCP port 443 (firewall, proxy, dns, etc.). Install Microsoft's Terminal Services software. Upgrade your Microsoft Terminal Services software. Plugin not available. Upgrade your Microsoft Terminal Services software. Plugin not available. Install the CloudShare plugin. Plugin not available. Update the CloudShare plugin. Use Chrome 7+ or Safari 5+. These browsers support the required HTML5 features. Resolve networking connectivity issue trying to connect on TCP port 443. Click the install button below to continue. Please install the plugin by clicking "Run" below, and approving the installation when Internet Explorer prompts you. You will need to refresh the page after the installation is complete. Please install the plugin by clicking "install" below, and approving the installation when Internet Explorer prompts you. You will need to refresh the page after the installation is complete. 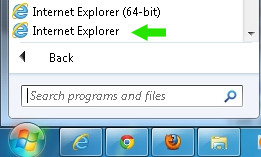 Unfortunately this Browser is not supported on Windows 7 using 64 bit IE, please use 32 bit IE. You will need to restart your browser after the installation is complete. When the installation is complete, you will need to refresh the page to view the content properly. The following is a breakdown of all the low level tests performed. The final result is shown above. It’s ok for some of these tests to fail if the final result shows that at least one remote access method is available. This page runs a series of tests to check your current computer’s ability to connect from your current location to the remote Cloud-based machines running on the CloudShare platform. After the tests have run, this page will show the connection methods available to you, and may offer suggestions on how to improve your connectivity. Please note that different computers or browsers used at the same location, or the same computer used at different locations may experience different connectivity.